Ullhärvan: Going to the North Pole! Going to the North Pole! It seems like ages since I last wrote something here on the blog. But here I go again! 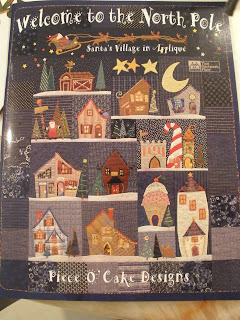 I found this QAL over at Val`s blog and had to order the book for it, Welcome to the North Pole. So next Christmas I will have this beautiful quilt to hang. Fabulous . So glad you found us.